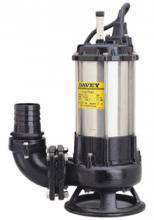 The Davey DT22S is a high head single channel centrifugal pumping system designed specifically for waste water applications. This system is available in either single or three phase motor options – all manufactured from long-life materials including corrosion resistant stainless steel for performance durability and appearance. 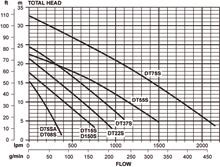 The single channeled centrifugal open impeller design allows the system to transfer suspended solids at higher pressure with less chance of blockage. Additional features include inbuilt automatic thermal overload cut-out and a mounted base for operation stability to promote continued performance. The versatile DT22S can be used in submersible applications.